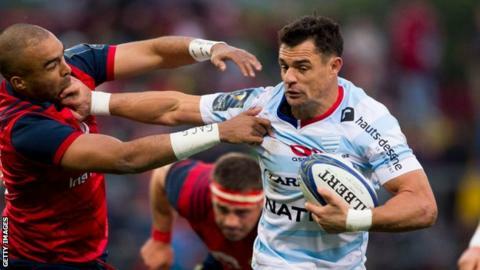 New Zealand great Dan Carter will return to Racing 92 as an injury replacement for the rest of the season. The former All Blacks fly-half, 36, has been released by Japan's Top League champions Kobelco Steelers. Carter, who played for the French Top 14 club from 2015-18, will cover for Racing's Pat Lambie, who has been forced to retire because of concussion. Racing announced the double World Cup winner's return on their Twitter account by saying: "He is back." Carter is the all-time leading points scorer in Test rugby union, having taken the record from former England fly-half Jonny Wilkinson, and has won a host of major titles during his career, including two World Cups.